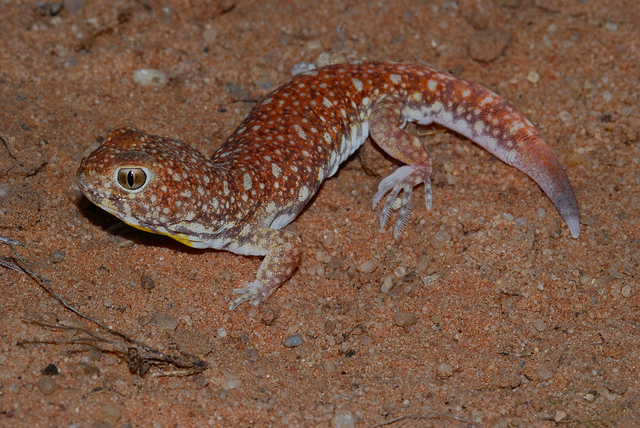 The gecko is an extraordinary lizard, a triumph of both adaptation and diversity. 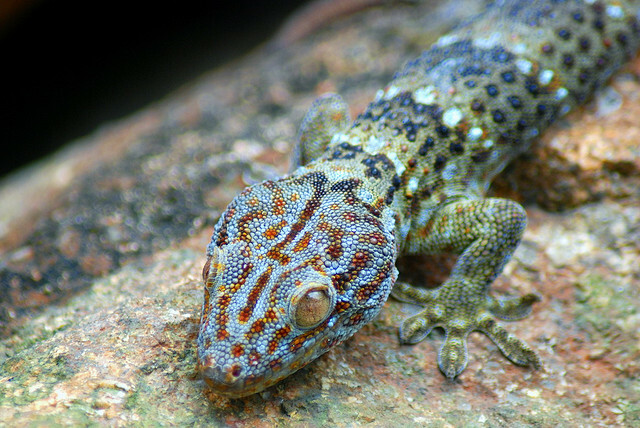 Out of the 5,600 species of lizard on the planet, over 1,500 belong to the gecko infraorder called Gekkota. 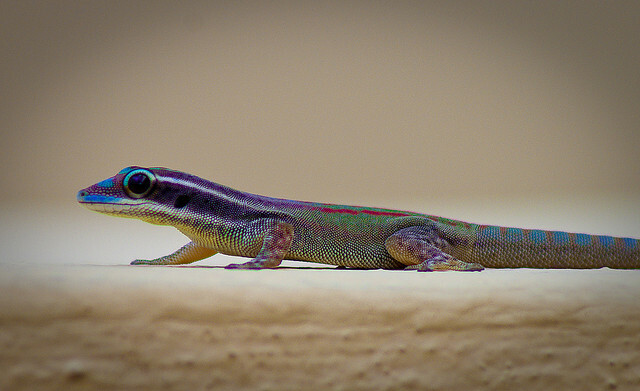 So, what is so interesting about a line of lizards which is, apparently, so ubiquitous? 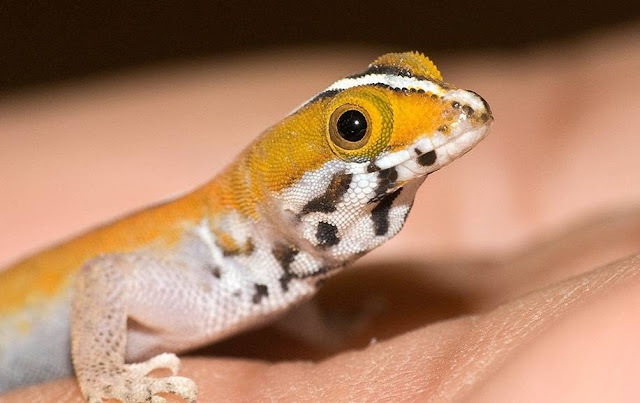 Here are 20 interesting facts about the gecko, as well as some amazing pictures of species that you may not have come across before. 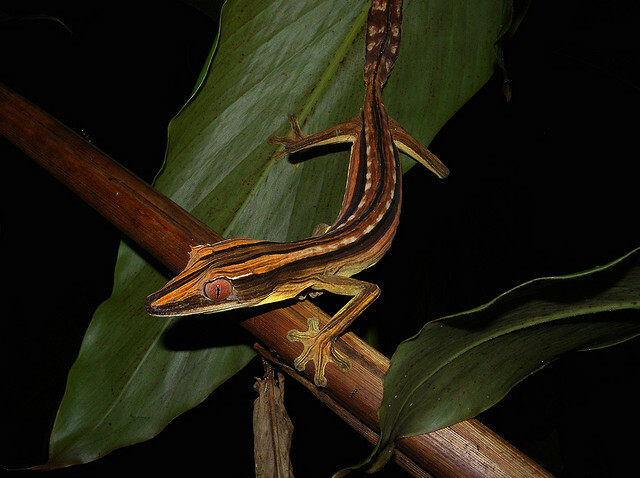 Geckos can vary greatly in length. The smallest (Jaragua sphaero) is tiny, just under two centimeters in length. However, some species can grow up to 60 centimeters. The largest ever discovered, the Kawekaweau from New Zealand, is sadly now extinct. 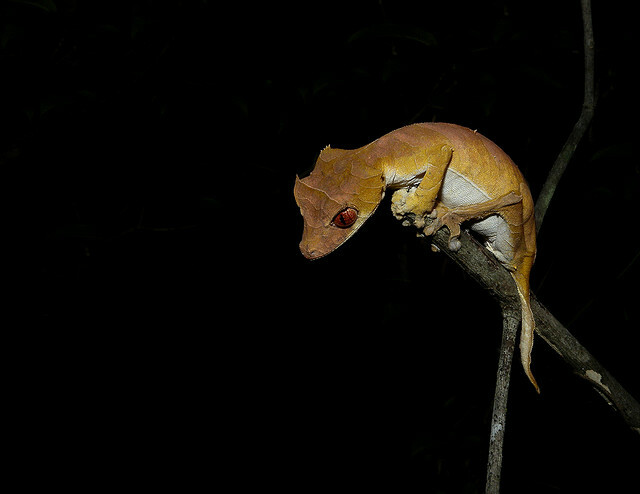 Most species of geckos are nocturnal. They have a lens in each iris that enlarges in darkness, making their eyes over 350 times more sensitive to light than ours. The name comes from the Indonesian Malay language – gekoq. Even in this language it is not a real word, but an imitation of the chirrups that the gecko makes when interacting with others of its species. 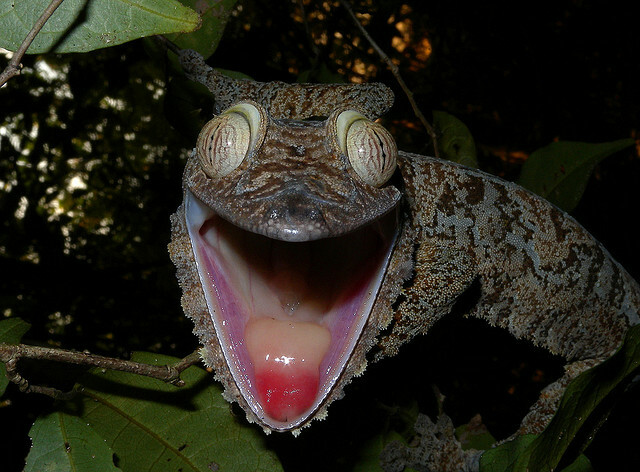 You will not find a gecko in possession of eyelids. They have a transparent membrane instead. So that they can keep it clean you will see geckos lick their eyes. No one really knows if they can sense this or the membrane is insensitive enough for them to lick without feeling a thing. We know it doesn’t hurt, however: they wouldn’t do it otherwise! 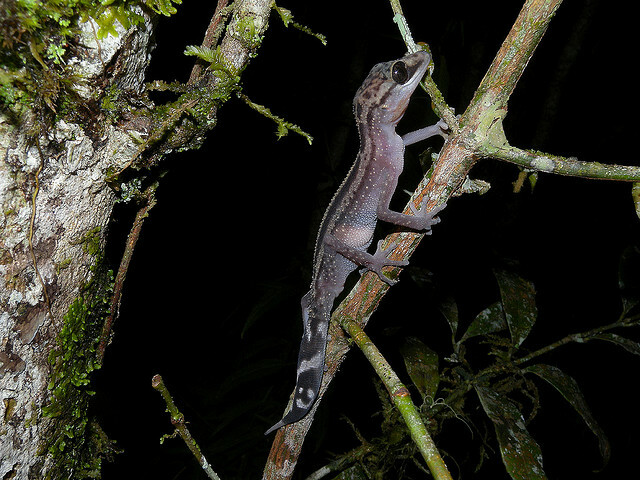 If they are defending themselves, most gecko species can lose their tails. The scientific name for this is autotomy, which is from the Greek for self amputation. 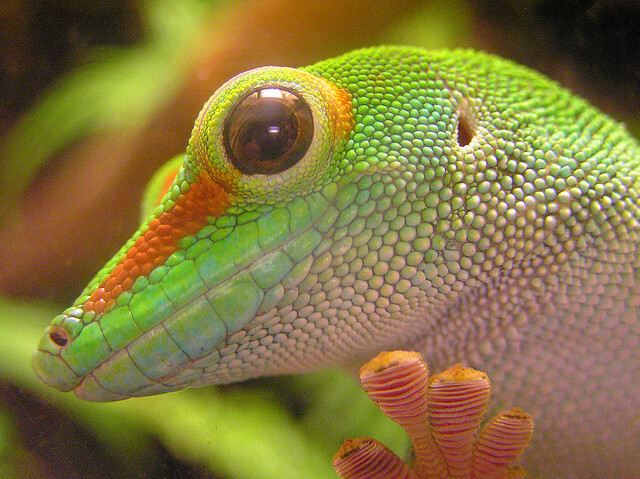 Many people think the gecko loses its tail as that is the part most likely to be grabbed by a predator. 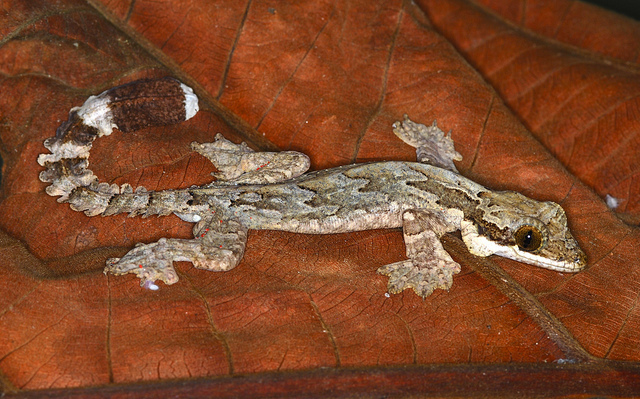 While it may be the obvious target, the reality is that when the gecko sheds its tail, it continues to wriggle about. This hopefully is enough of a distraction that the gecko can escape the predator that wants to make it their lunch. 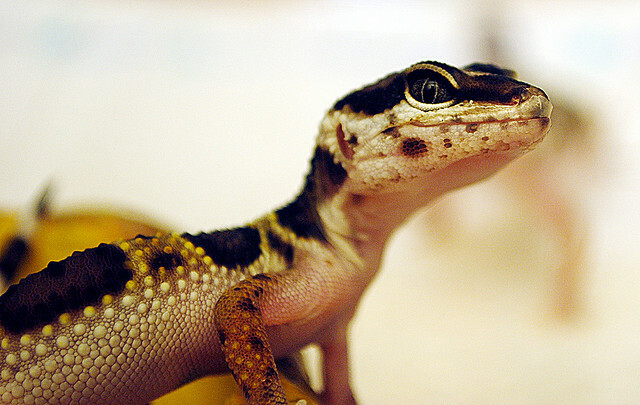 Most species of gecko have to have their tail pulled in order to shed it. 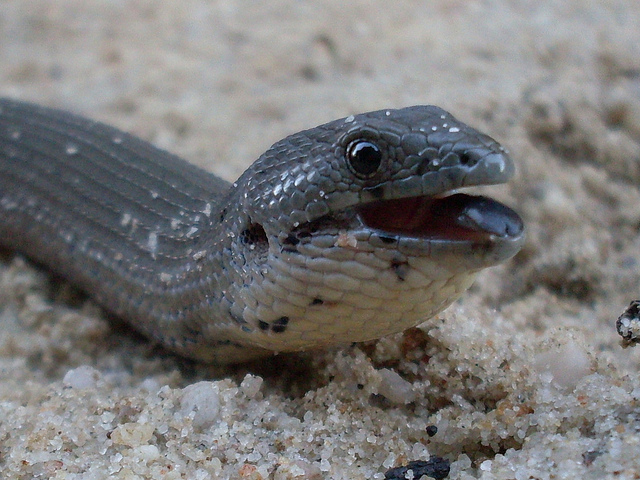 However, a number of species, especially those who may be attacked by ants, are able to get rid of their tail at will. The tail can in many cases grow back. However, this replacement is made of cartilage and does not have any of the bone structure of the original. 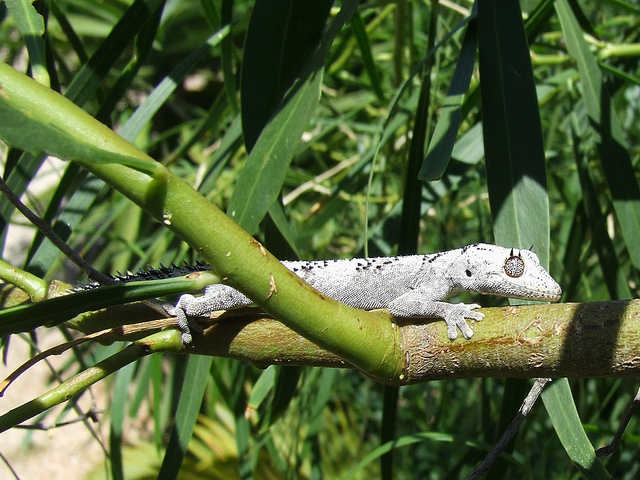 When a gecko sheds its tail, many will return later to see if it is still there. If it is then they will eat it. 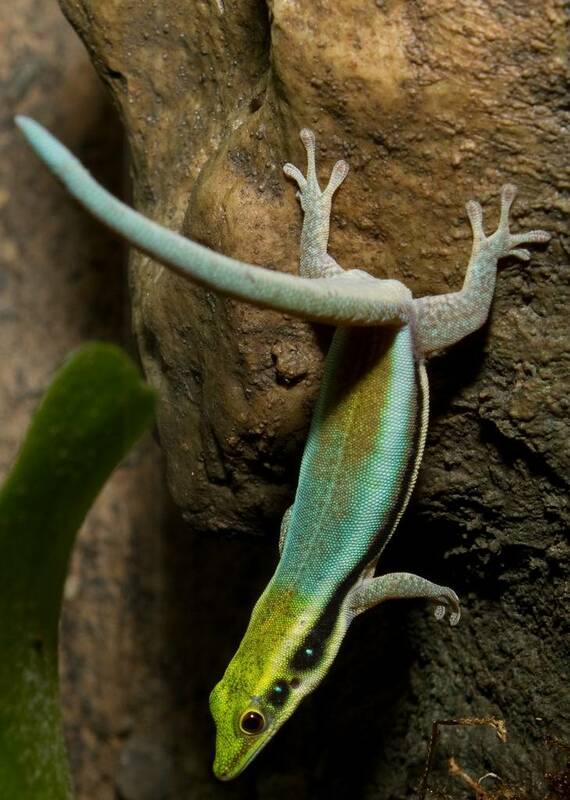 This is because the gecko uses part of its tail to store nutrients so that it can get through lean times when food is scarce. 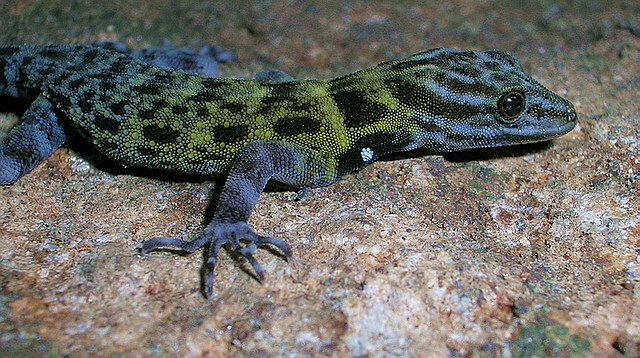 Unlike many species, the gecko thrives around humans. 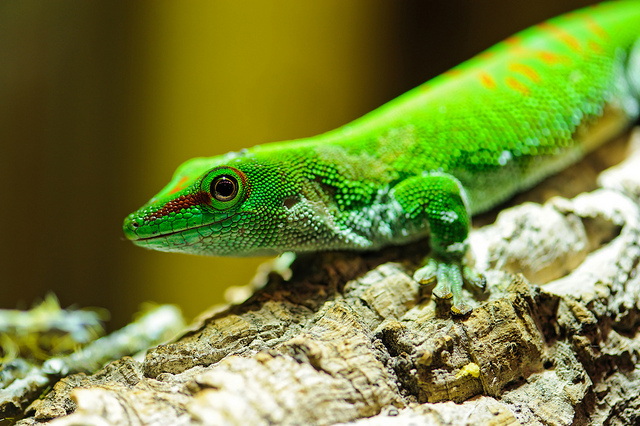 In warm regions of the world the arrival of gecko in to the home is greeted as a sign of good luck as they can help rid the house of unwelcome insects – they love a bit of mosquito for supper. Geckos have highly specialized toe pads. This enables them, much to the amazement of human onlookers, to climb vertical surfaces (as long as they are smooth). They can even cross ceilings. 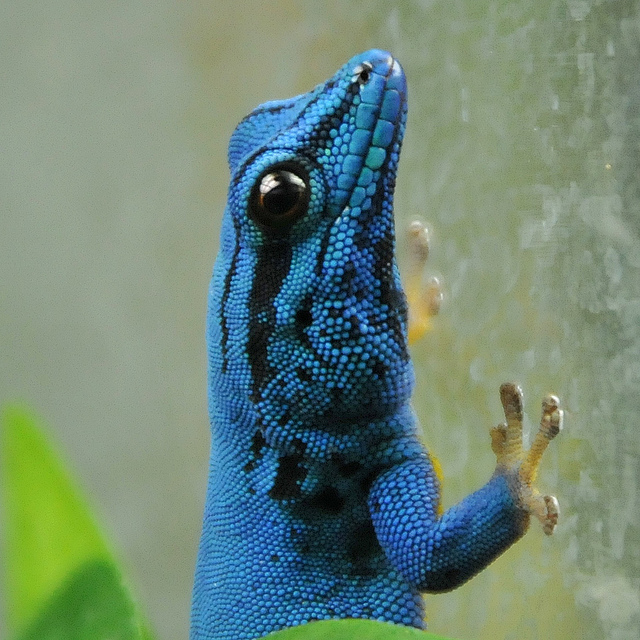 Geckos can stick to walls and ceilings because of the attractive nature of intermolecular van der Waals forces. Van der Waals forces include attractions and repulsions between atoms, molecules, and surfaces, as well as other intermolecular forces. 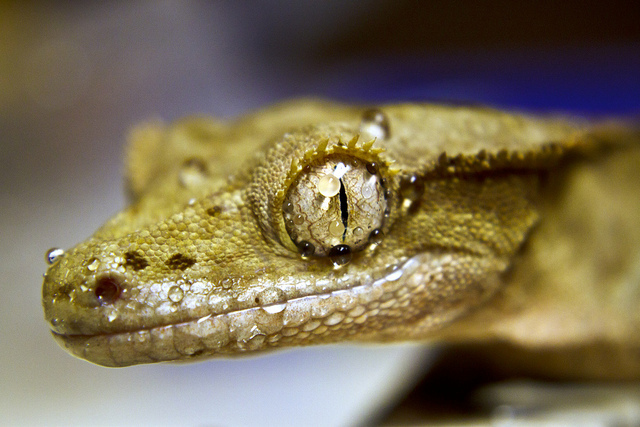 Geckos also secrete a liquid from a special gland. The gland enables them to excrete and absorb liquid according to the surface that they are on at any given time. In this way the liquid allows for maximum adherence to that surface. Geckos do not like Teflon. It has a low surface tension and as a result geckos find it difficult to stick to Teflon for any amount of time or effectively. Fortunately their natural surroundings are usually Teflon-free! 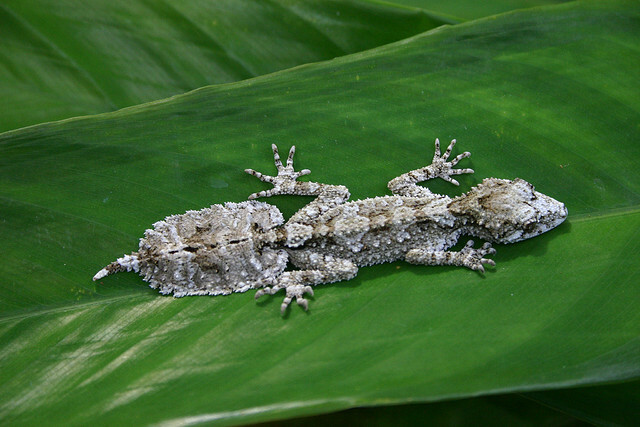 The gecko has outgrowths of tissue on their footpads called setae. This word derives from the Latin for bristle – and you can see why. Small and hair like, the ones that you can see branch out even further in to what are called nanometer scale projections. 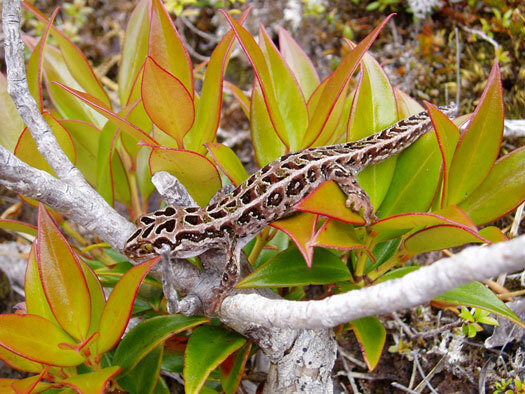 Tiny as they are, they play a vital role in the gecko’s climbing skills. 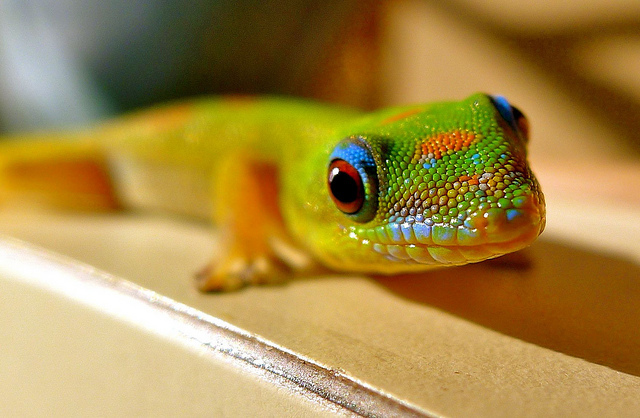 As you have already seen, geckos come in a huge variety of patterns and colors. Some of them can change their color and others become lighter at night. 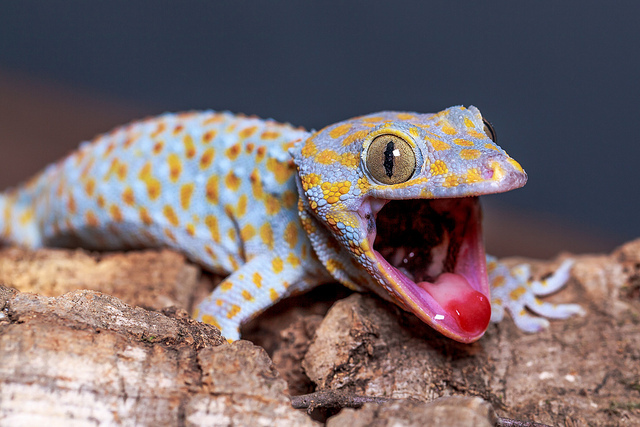 Geckos are parthenogenic. 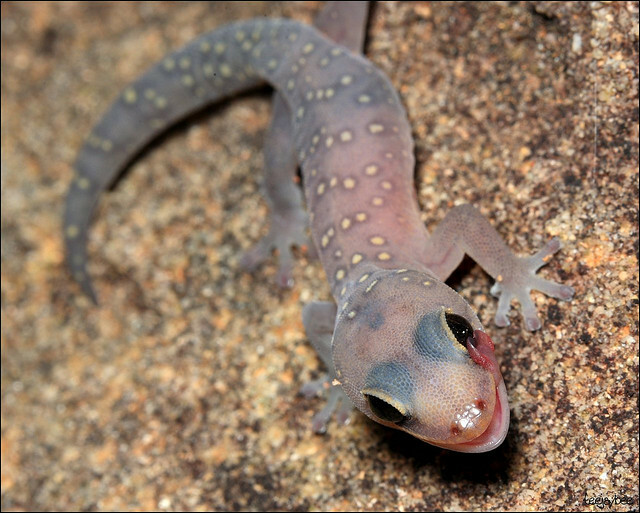 So, say for example, a female gecko washes up on a gecko-free island she can reproduce without mating with a male. 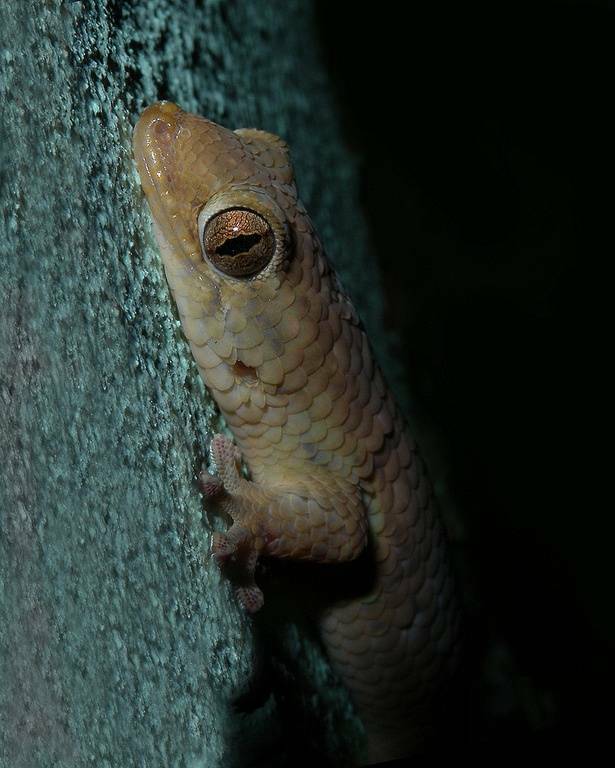 However, when this happens these geckos will have a lack of genetic diversity which could mean shorter life spans and greater threat from diseases. 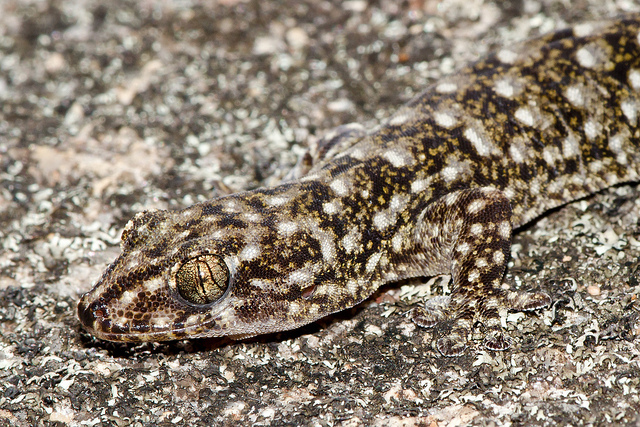 Fish-Scaled Gecko - Geckolepis sp. 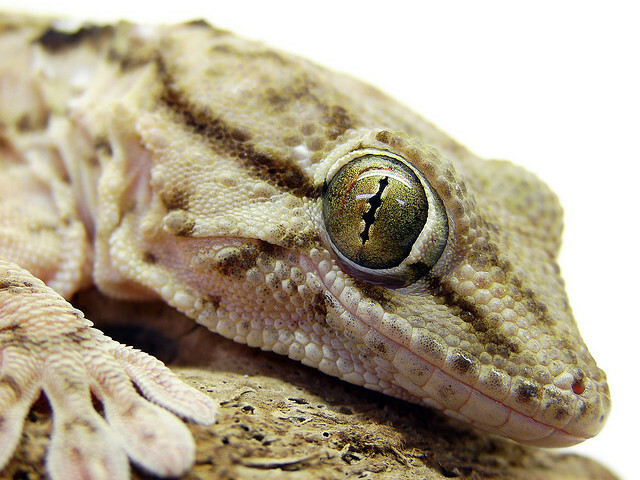 Geckos like to shed their skins – a lot. Most species will do it at regular intervals, especially when they are around good water supplies. 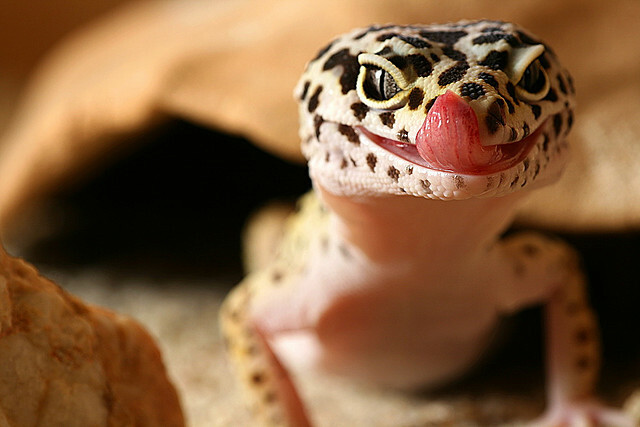 The leopard gecko will shed every two to four weeks. 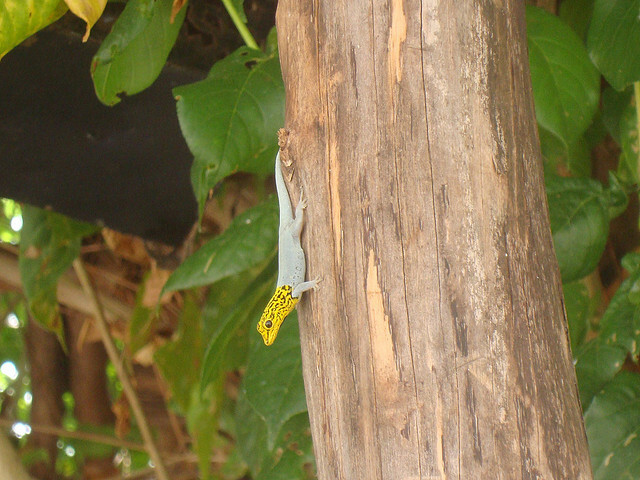 However, the gecko is a waste-not, want-not species and will eat the skin it sheds for the nutrients it contains. 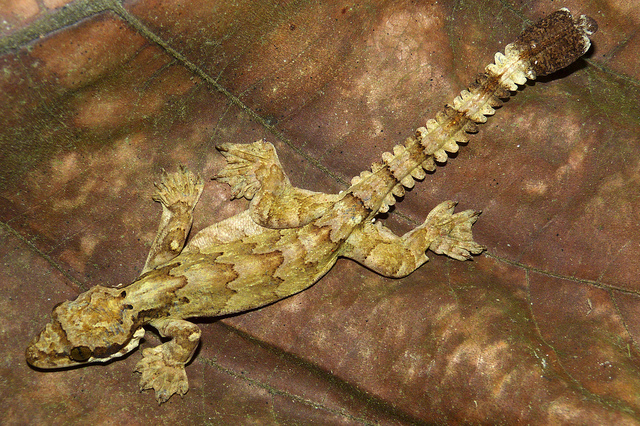 The Ptychozoon (above) is also known as the Flying Gecko or even the Parachute Gecko. They have evolved so they can conceal themselves against the side of trees but this is not the most interesting of their evolutionary traits. Thanks to webs situated around their body they can leap in to the air and open these flaps which it then uses to control its fall. It can ‘fly’ up to 60 meters and when nearing the ground it swoops, so landing softly. There are seven divisions (known as families) in the Gekkota infrorder. 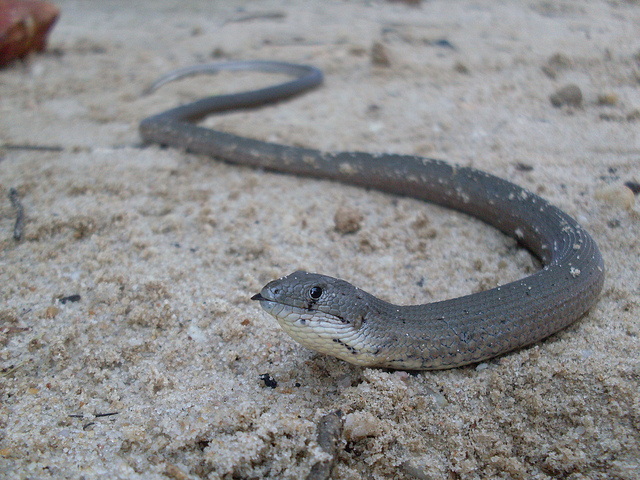 This includes the Pygopodidae, which have long and elegant bodies but no forelegs, with only vestigial hind legs. They may look like snakes but they are not. They have unforked tongues for a start – not to mention external ear holes. 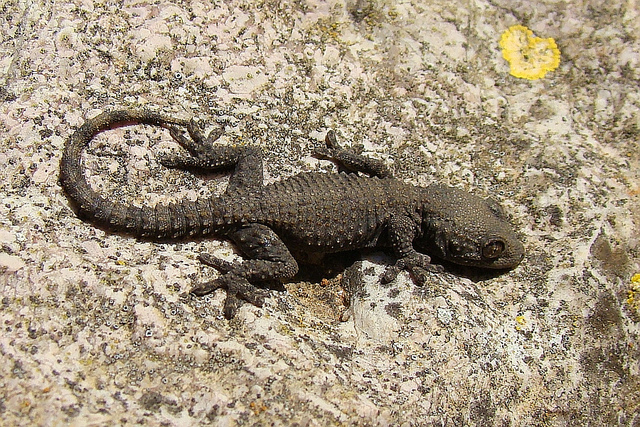 By far the most common family is the Gekkonidae. 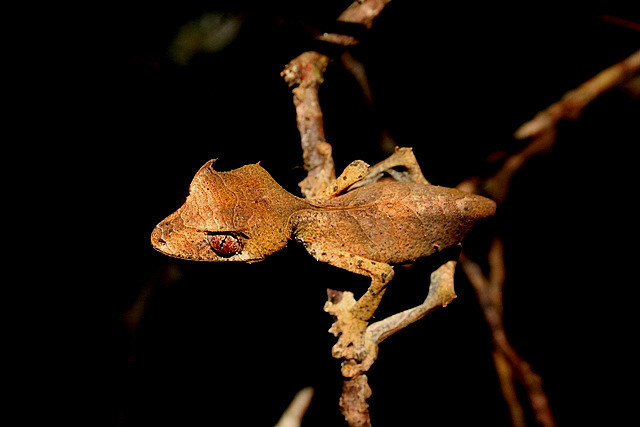 These 1000 plus species make up over a third of the world’s geckos and will be the ones you are most familiar with, including the house gecko. Gecko eggs take about 40-60 days to hatch. After that it will be a year before they are mature and ready to meet and mate. 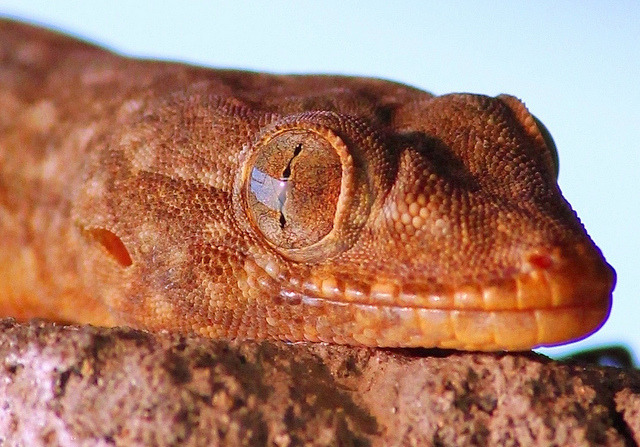 On average a gecko will live up to 10 years but a number of species will live to double that. The longest recorded lifespan in captivity is 27 years. So, if you are ten right now and want a gecko as a pet, you must realise that you could still have it when you are thirty! And don’t think that Mom will look after it because she might not like your gecko quite as much as you!